We are not only a hotel with 5 rooms. We are a sustainable place. We have 100% renewable energy, a rainwaterrecyclingsystem and a reforestationproyect on our farm together with the public school. We offer holidays and tranquility in a natural environment. We are a new tourist destination in southern Nicaragua. We can offer you several activities that you can´t do in your home country. from the border to Costa Rica (Peñas Blancas). It is a very good option to start your trip when you are coming from Costa Rica. Also if you are leaving Nicaragua we can help you planing your trip through Costa Rica. Imagine that we do the cavetour with you. 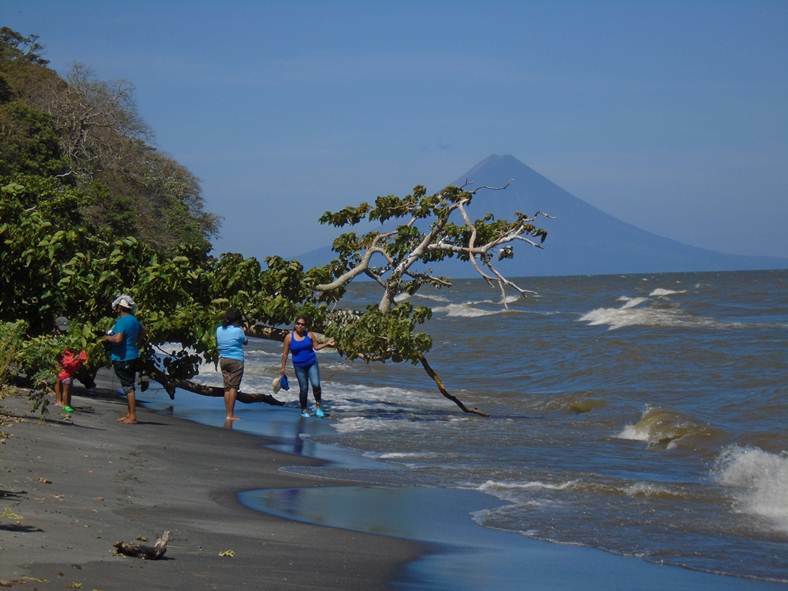 view to the Island of Ometepe and together we discover the Caves Punta de Piedra. Don´t be afraid of the bats. Back, a delicious dinner awaits you and a comfortable bed where you can rest from your adventures in the caves. you another tasty dish resently cooked. What do you think? You agree to vistit us, don´t you?